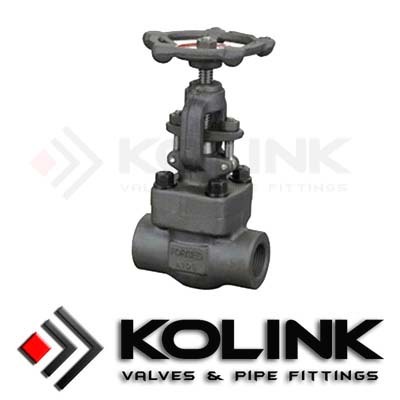 A Flanged Globe Valve is formed by a baffle that splits the interior of the pipe, usually parallel to the length of the pipe. The baffle contains an opening that is sealed by means of a disc or flat plug being pushed down into the opening, or seat, perpendicular to the pipe, to stop the flow through the pipe. A structure called a bonnet outside the pipe holds a stem that is connected to the disc. A hand wheel at the top of the bonnet is used to manually screw down the stem with the disc at its end until the disc seals against the seat opening. In large industrial applications, a globe valve may be sealed using an electrical, pneumatic, or hydraulic actuator instead of a manual hand wheel. The most common disk designs for globe valves are: ball disk, composition disk and the plug disk. Ball disk design is used primarily in low pressure and low temperature systems. It is capable of throttling flow, but in principle it is applied to stop and start flow. Composition disk design uses a hard, non-metallic insert ring on the disk, which ensures a tighter closure. Plug disk design provides better throttling than ball or composition designs. They are available in many different designs and they are all long and tapered. If you want to know more,please enter the following link:Angle Globe Valve.